If your idea of a perfect fall day includes s’mores, apple cider, and pig races, then head over to Richardson’s Adventure Farm, home of the world’s largest corn maze! Our friend Hillary rented a fire pit (you bring the food and beer, they build the fire and continuously replenish with wood) and invited us to come up for the afternoon. 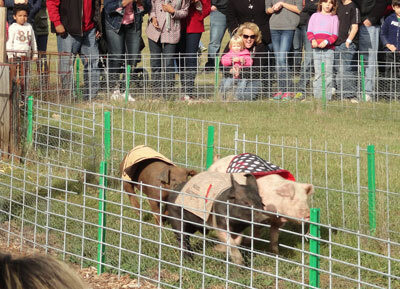 In addition to getting lost in the maze – this year with a Girl Scout theme to celebrate their 100 years – the highlight of the afternoon may have been the pig races. There is just something funny about seeing animals, clearly not designed to run, race for a donut. Katy Perry Porker leading Kevin Bacon Later by a snout! 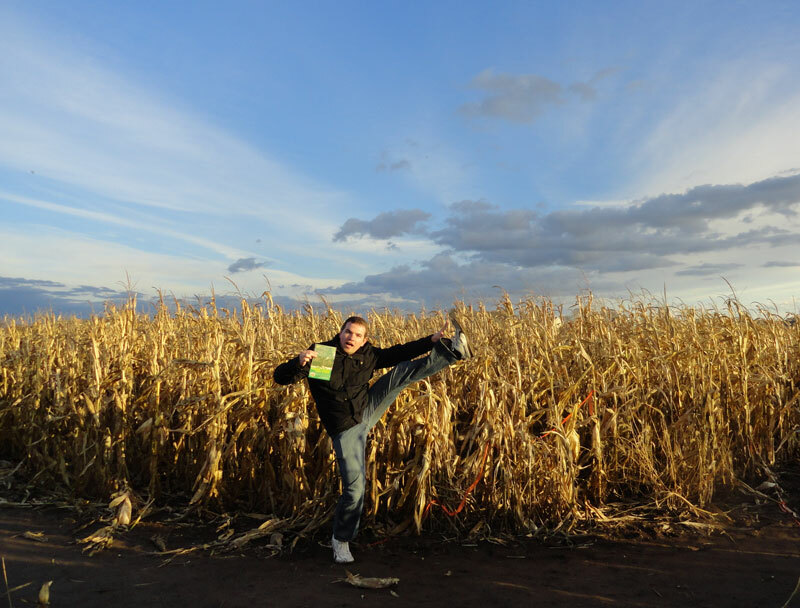 This entry was posted in High Kick Photos and tagged High Kick, Pig Race, Richardson Corn Maze. Bookmark the permalink.